The Jam Factory centre in Chapel Street is set to become a new district in the heart of South Yarra as part of a comprehensive proposal to redevelop and revitalise the site. 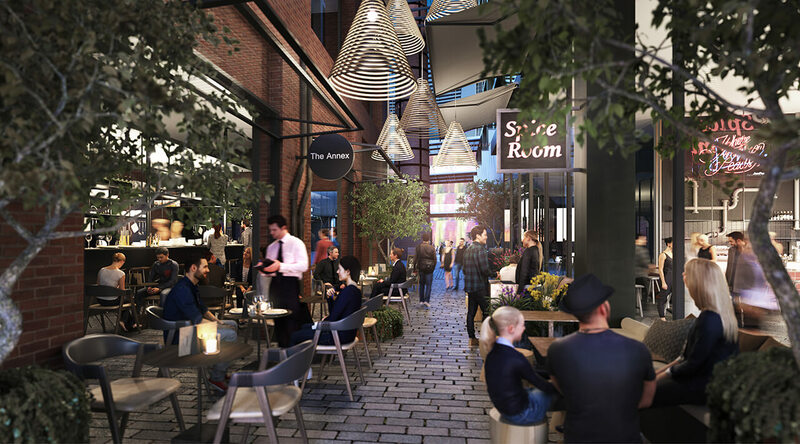 The proposed site will be opened up with a network of laneways and a vibrant public realm. A major economic catalyst, the Jam Factory will be a destination that resonates with the community and drives the local economy. Setting a new standard in sophisticated mixed-use development. 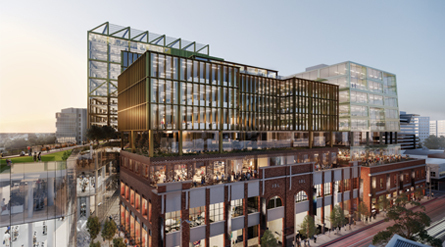 A permeable district in the heart of Melbourne’s most desirable location – the Jam Factory will be a dynamic destination for locals, visitors, and office workers to shop, dine, work or relax. 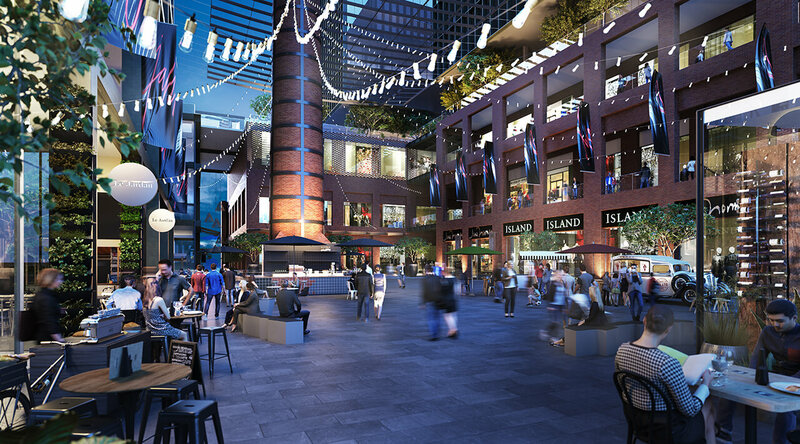 A catalyst project to boost Melbourne’s economy by attracting new business as well as local and overseas visitors and shoppers. A vibrant retail and work space district, it will create thousands of jobs during construction and upon completion for the local community and Melbourne. This is a place for the people, an accessible district laid open for business and pleasure. Including a large elevated garden terrace overlooking Chapel Street to be enjoyed. An active network of pedestrian laneways connected by a central plaza. 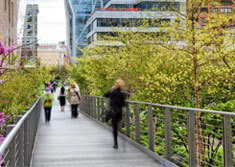 Pedestrian laneways and elevated garden terrace. 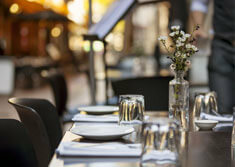 Retail, dining, cinemas and entertainment. Iconic local and international food and fashion. 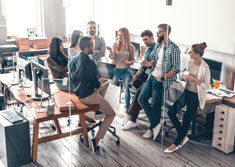 A collection of interconnecting work space environments ranging from 4 storeys to 15 storeys and with floor plates up to 4,000 square metres. Significant bicycle parking spaces and best in class end of trip facilities. Ample underground carpark and fully enclosed loading facilities located on site. Opening up of past laneways, and respect to historical features. In excess of $450 million of direct investment at the site. During construction, an estimated 1,000 jobs. During operation, an estimated 5,000 permanent full-time jobs in office, retail and hospitality. Planning Permit for the development by Stonnington Council in May 2018. Throughout the planning, demolition and construction process, we are committed to keeping the local community and businesses informed and engaged. You can also register for our regular email updates, including details of community information sessions. Newmark is a private Melbourne based investment manager focussed on the development and long term holding of strategic assets. We are proud locals, already owning and operating the Como Centre as part of a portfolio of more than $600 million in real estate assets across Australia, and are dedicated to providing lasting value to the communities in which we invest. The information on this website is for information purposes only and may not reflect the current plans or situation. Newmark Capital Limited makes no representation or warranty as to the accuracy, currency, completeness or suitability of the information for a particular purpose. You must make your own enquiries to verify the information before acting on it (including, where relevant, by making investigations with the City of Stonnington). Images are illustrative only and you must not rely on them for any reason. All statistics and statements are estimates only and you must not rely on them for any reason. All information is subject to change at any time without notice. This website does not purport to provide you with financial or investment advice of any kind. Do not act or refrain from acting upon this information without seeking professional advice. Newmark Capital Limited disclaims all liability in respect of actions taken or not taken by any person based on the content of this website to the fullest extent permitted by law.